Every child custody case and every child is unique. Nothing could be more important to you than your children and the decision about who raises them. Many divorcing spouses are able to arrive at a voluntary child custody agreement that involves either joint custody or the sole custody of one parent, and in most cases the courts in California will sign off on such a voluntary agreement. However, when a mutually acceptable agreement between divorcing parents is not possible, a California court will impose a child custody order that it considers to be in the best interests of the child or children. Although your Orange County divorce lawyer may have worked out an agreement that “settled” the child custody issue, or the court may have issued a “final” child custody order, a change in parental circumstances may demand a modification of the agreement at any time after the divorce is finalized. Child custody disputes are common in California, and they don’t always end when a divorce is finalized and child custody is determined. Sometimes, whether the child custody agreement was voluntary or imposed by the court, that custody agreement will have to be modified. Moves, career changes, loss of income, remarriages, and health issues are among the many reasons why a custody order may need to be changed. For example, if a parent has sole physical custody over a child, but is moving to another state, the order may need to be changed to please both parents. Everyone’s circumstances are almost always changing, so it is not at all unusual in the state of California for child custody orders to be modified – and sometimes more than once. Don’t hesitate to seek legal help for child custody, visitation, or child support modification after a divorce or legal separation. Contact an experienced Orange County child custody modification lawyer with the Bayati Law Group to discuss your legal rights and options. The Bayati Law Group offers skilled representation, complete accessibility, and trustworthy, reliable legal guidance when our clients need it most. If you are seeking a modification of the child custody order and the other parent is not agreeable, you’ll need an experienced family law attorney to advocate on your behalf and to help you obtain a custody modification from the court. The courts in California are reluctant to modify existing child custody orders unless you can demonstrate that the requested custody modification is in the best interests of the youngster. The lawyers at the Bayati Law Group can help. We will review your case to determine if your situation warrants modifications to the existing order. If it does, we will help you through every step of the legal process. Everyone knows that life is unpredictable. When you initially file for a divorce – or when you first learn that your spouse is filing for divorce – it’s impossible to foresee much how your circumstances may change in just a few short years. 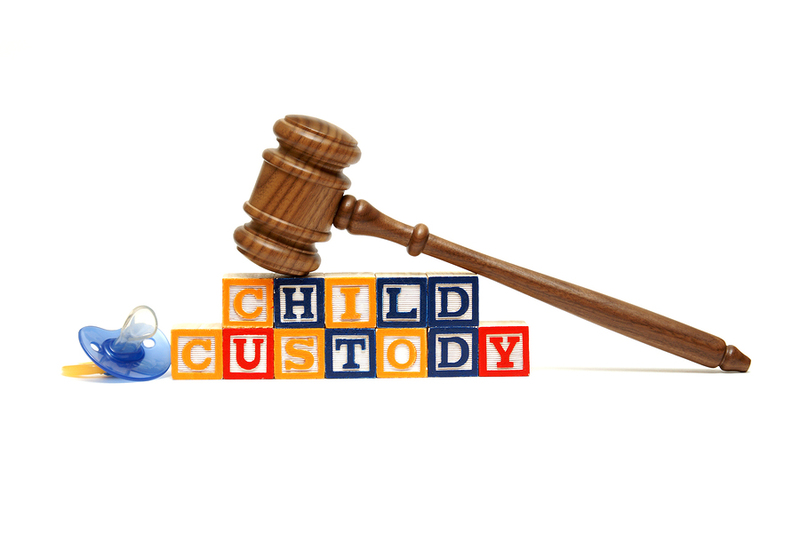 Child custody arrangements and parenting plans can become burdensome, unworkable, or outdated. No one, of course, can know what the future may require or how situations may change. In California, divorced parents who are requesting or opposing the modification of a child custody order will need to identify anything unique to the child and bring it to the court’s attention. For example, does the child have a learning disability, dietary problems, or behavioral issues? The court will examine matters of this nature to reach a decision that is authentically in the child’s best interests. The family law attorneys at the Bayati Law Group have the experience, the tenacity, and the legal skill to resolve the most acrimonious family law disputes, but our attorneys prefer to resolve disputes by achieving agreements that are mutually acceptable to both parties, especially when children and the custody of children are involved. If a negotiated agreement regarding a child custody order modification cannot be reached, the Bayati Law Group will advocate on your behalf in court and will make your child’s best interests out top priority. In southern California, if you need to request a child custody order modification subsequent to a divorce, or if you need to challenge a child custody order modification that your child’s other parent has requested from the court, obtain the legal help you need as quickly as possible by arranging to speak with an experienced Orange County child custody modification lawyer at the Bayati Law Group. The Bayati Law Group has represented and served scores of southern California parents by handling child custody disputes regarding visitation issues, the modification of child custody orders, and the enforcement of child custody orders. With law offices in Orange County, California, the Bayati Law Group strives to bring every family law matter that we handle to a fair and just resolution so that our clients can move forward meaningfully and constructively with their lives. We find practical solutions to resolve family law issues effectively on behalf of our southern California clients. After a divorce, the courts in California will modify a child custody order only when a parent can demonstrate that the requested modification is in the child’s best interests. When the modification of a child support order is required by circumstances, a family law attorney at the Bayati Law Group can help. Nothing is more important than your relationship with your child. Child custody disputes are always difficult for both parents and children, but the legal advice and assistance that parents need is available right here. At the Bayati Law Group, we exclusively practice family law. In southern California, whether you need immediate legal representation regarding a child custody order modification, or if you simply need reliable legal advice to help you plan for the future, an experienced Orange County family law attorney at the Bayati Law Group is available to offer an evaluation of your circumstances, to discuss the full range of your legal rights and options, and to help you make informed decisions for yourself, your family, and your future. Every Bayati Law Group client and new prospective client is treated with complete respect and is extended every possible professional courtesy. It is our policy to return every client phone call and email promptly to ensure you receive the services you need. Please schedule a consultation appointment today to speak with an experienced family law attorney at the Bayati Law Group by calling (949) 798-5700. Or, you can complete the form on the contact page of this site, where you will also find a map and driving directions to our office. The Bayati Law Group represents clients in all matters pertaining to family law including spousal support (alimony), property division, visitation, child support and child custody disputes in Orange County and throughout southern California.